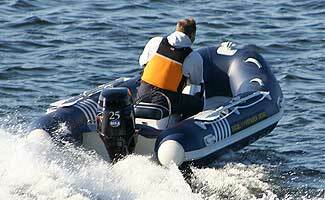 RIBSs Rigid Inflatable Boats Accessories & Options from Excel Inflatables UK. 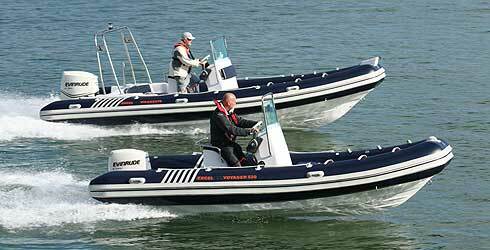 Excel Rigid Inflatable Boats - Excel Rigid Inflatable Boats - Presenting the V-series range of RIBs for any application, from tenders to high-performance leisure craft, Excel RIBs are exceptional quality boats manufactured using traditional construction methods and a class-leading design. We produce an extensive range of craft at affordable prices with a 5 year guarantee on material and manufacture. 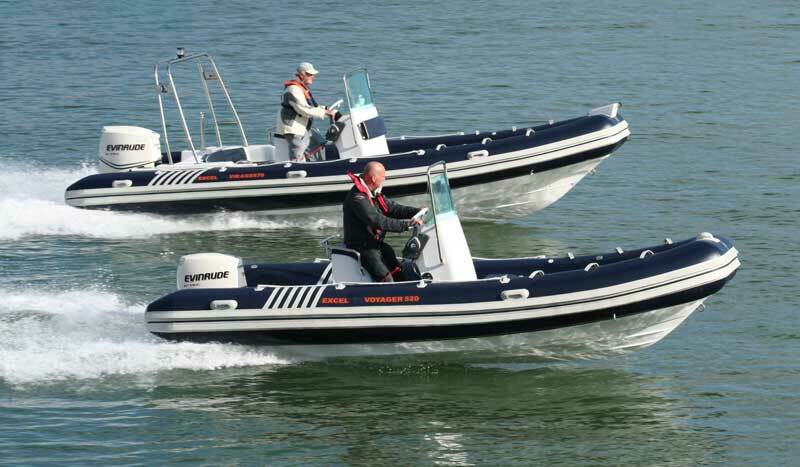 All Excel V-series RIBs are available in boat-only form, the ideal basis for a new project, right up to a purpose built turn-key packages complete with a trailer! We are regional distributors for most brands of engine, offering packages with Suzuki, Evinrude, Mercury, Yamaha, Tohatsu and Vector Outboards for smaller applications. All V-series models feature a Lightweight Aluminium hull and Deck and a deep "V" keel hull for strength, stability and excellent seaworthiness. The range extends from 2.4m to 6.7m in size, across the following model types: Virago, the Vantage and the Virage and Voyager, with numerous seating configurations and a wealth of accessories readily available for each. 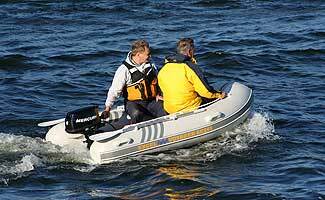 Excel V-series RIBs are available in several colour schemes, with bespoke fabric and hull colours available to order. All Excel Rigid Inflatable Boats are fully compliant CE category "C" for inshore sea use and are manufactured with the strongest "Hytex" 1100 Decitex and 1.2mm/1475 Decitex fabric for the 460 and larger. Hypalon tubes are available in certain colours as a special order option - please contact us for more information. THE EVINRUDE ADVANTAGE - CLICK HERE..
*Oars and Aluminium Thwart only apply to SR360 and below. View Boat Details More info.. More info.. More info.. More info.. More info.. More info.. More info.. More info.. More info.. More info..
All business is subject to our standard terms and conditions of business – printed copies on request. Prices are correct at 01/01/2016 but may vary due to fluctuations in exchange rates. Pricelist includes VAT – 20%. E&OE.